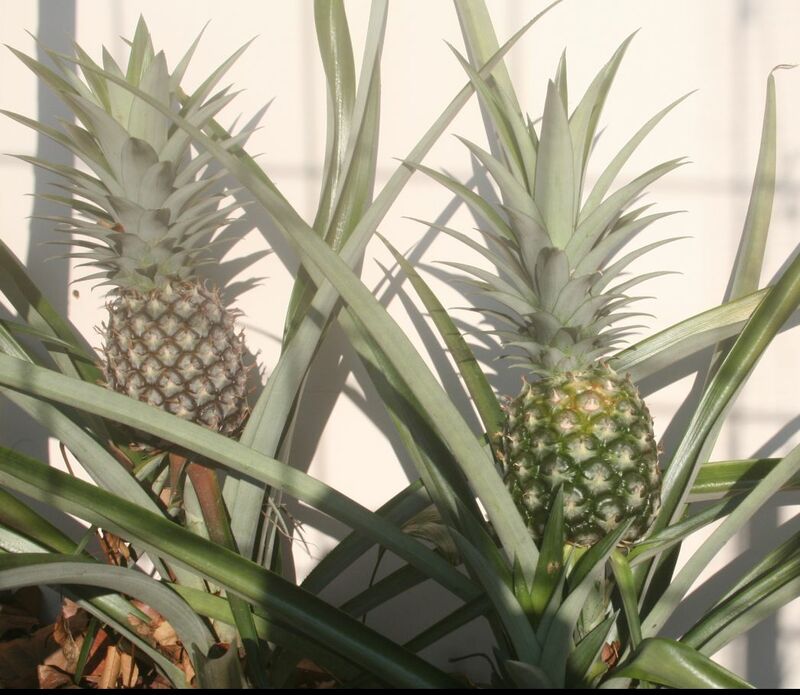 Werner's Cairns blog: The humble pineapple is packed with health promoting enzymes. The humble pineapple is packed with health promoting enzymes. These health promoting properties of pineapples are well-known; however according to Danica Collins they also contain cancer fighting properties. See below what she wrote. The pineapple is the symbolic fruit of the tropical and sub-tropical regions in the world. We in North Queensland are blessed to have this delicious fruit available all year round, and I grow them in our garden as well. 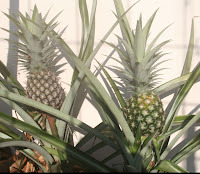 Picture: Two of our fourteen pineapple plants in our garden. Click on picture to enlarge. A special sweet and low acid variety is the “Mareeba Gold pineapple” grown here in Mareeba in North Queensland by the Pinata Farm. What’s so different about a Mareeba Gold Pineapple? Click here to find out. Pineapple Enzyme Bromelain Destroys Cancer. Source: Underground Health Reporter. Writer: Danica Collins .To read other articles from Danica Collins, click here. Bromelain Destroys the Cancer – Not Your Body. One such solution is compounds that act with “selective cytotoxicity” – shrinking or killing cancer cells while leaving healthy cells alone. This ability is only found in nature and, so far, science has been unable to duplicate it. Now scientists are using enteric coatings that resist stomach acid and break down only in specific locations of your intestines so the full benefit is achieved. Getting enough natural enzymes into your system is crucial to total body health. Raw, organic fruits and vegetables take some of the enzyme production stress off your body – and aid in better digestion – so the unused enzymes can find and kill cancerous cells. To read the rest of the article “6 Natural Cancer Fighters You Need in Your Diet” click here and then scroll down. How to make a comment about this posting? See annotation below. I'm surprised you're pushing pineapples, Werner. Don't you know they are very efficient storers of fluoride? One pineapple can have 2000 times the amount of fluoride as one glass of fluoridated tap water. CBD Warrior, you obviously lack intelligence, and are prone to exaggeration, most likely caused by drinking too much fluoridated water. Our underground water contains the natural calcium fluoride. So, pineapples may absorb some of this. However, I would rather eat a pineapple with this natural fluoride in it than drink water laced with the toxic poison we buy from China’s fertiliser and aluminium industries and, disgracefully; dispose of it through our drinking water system. A very interesting posting, Werner. I grew up in Sydney and a pineapple was just another fruit for me, and I had had no idea that there is more to it than meets the eye. My family will get pineapple served more often now, and I’ll look out for pineapples that “smell fresh, and sweet,” as you suggested. What a fantastic and informative read, as well as the interesting links. I also found the other stories written by Danica Collins very interesting. Very interesting, perhaps the doctors should prescribe pineapples instead of expensive chemical pills and, overdosing with pineapples wouldn’t kill you.